Who doesn’t love them? Secret tunnels – whether we are talking about priest holes or underground passageways – bring out our inner-mystery lover. The earliest Christians used tunnels to escape from the Romans within cave systems in Antioch. But tunnels can also conceal nefarious business. While finishing up a great weekend with God’s people in Colorado, I learned that tunnels run underneath Longmont. This is so cool, except I was also told that they were used by the KKK to transport people in the 1920s. I’ve also been reading about the secret tunnels in George Washington’s Philadelphia house which concealed the comings and goings of his slaves. “Just steps from the Liberty Bell and Independence Hall” slaves went in and out of his home unseen by Washington’s colleagues. And in Jefferson news, restoration efforts at Monticello have revealed a once-secret passageway between Mr. Jefferson’s bedroom and the bedroom of Sally Hemings. Real history includes both the noble and the shameful. We like to share stories that make us and our people heroic and honorable, but the truth is that each of us also has an inglorious past. And our churches each have an inglorious past as well. I don’t know a single congregation of Good Christian People who have made all the right choices when it comes to following Jesus. We have chosen to serve ourselves instead of serving the poor or weak. We have excluded people in cruel ways. And we have secretly (or not so secretly) included KKK members, Nazis, predators, abusers, and bullies in our numbers without holding them accountable. We have a history of avoiding “unpleasantness” for the sake of keeping peace, even though that “peace” has corroded our souls. One role of the 21st Century Church is to uncover secrets that continue to enslave us and bring the light that comes with telling the truth about ourselves. Another role is to provide safe haven for those who are terrified for their lives. As our world continues to be confused about serving the most vulnerable around us, the Church will have a bigger role in modeling what compassion looks like. 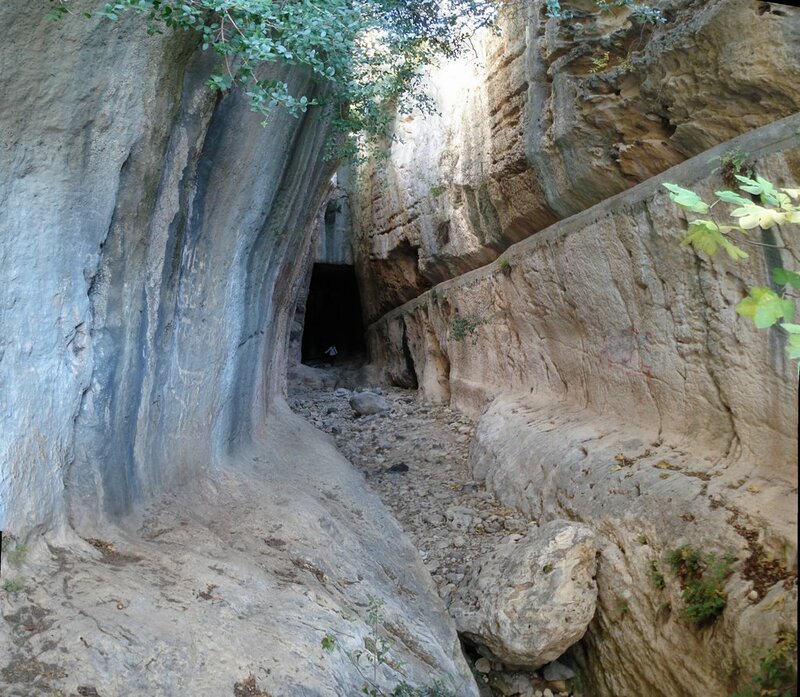 Image of a cave opening in Antakya, Turkey (ancient Antioch) which allowed early Christians to escape if their worship space was raided in the first century. O course there are good and bad Christians. There are millions of us throughout the world. If this is supposed to be a new insight it isn’t. The tunnel angle is interesting though.